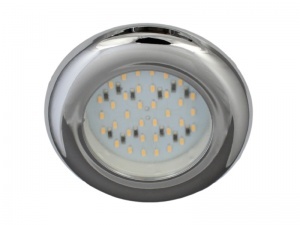 Nova 12V LED downlight in chrome-plated finish with surface mounted LEDs totalling 1.3W (equivalent effect to an 8W halogen bulb). 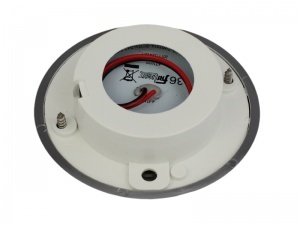 These low profile lights are ideal for mounting in head linings in caravans, motorhomes, campervans and boats thanks to their shallow depth. They protrude only 14mm behind the mounting face, and the visible part of the light is only 6mm deep.